Our employees bring new ideas and technologies together. We innovate at the highest level, which is why we facilitate the personal development of our employees. This is because if our employees improve, so do we. We are open to new approaches and regularly exchange ideas and information, even with external experts. This mind-set serves as the basis for innovation, continuous progress and your success with us. We are stronger with you. You can choose from different offers in our training program. The program offers courses on German language, technological and methodological knowledge, software solutions and project management, for example. We also actively work on improving your soft skills. With our Young Talent Program , we offer you a real work experience opportunity in a dynamic and innovative environment. During the program, you can find a chance to get experienced on one of the following technologies; java, .net, mobile or frontend. At the end of the program, you can apply for full-time positions. The purpose of our leadership development program is to create a common sense of leadership and increase individual and managerial awareness. With our leadership development program, we extend your knowledge with managerial tools and techniques that will be used in business and team management. 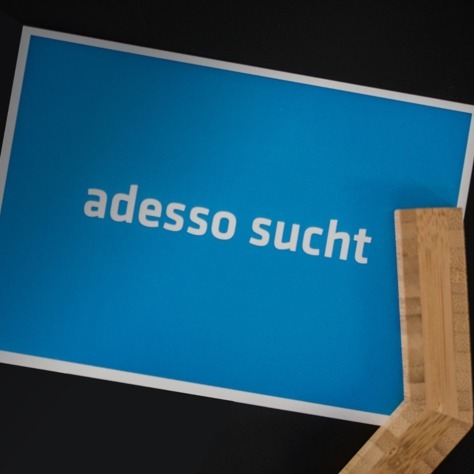 adesso goes beyond simply building up your knowledge and skills. Our program thrives on discussion and cooperation of participants from the whole corporation. We aim to increase your motivation and loyalty by providing career opportunities to progress within the company. We offer horizontal and vertical career opportunities by guiding you through the right career path in the direction of your knowledge-skills, competence, experience and expectations.